This black bombers work jacket is ideal for cold weather. Several large multipock pockets with zip closure and velcro under flap, additional pocket on the waterproof sleeves. RedLion is instant comfort and untouched pleasure all day long. The Redlion Upower Bolt has a perfect look and fit with dynamic cushioning that helps reduce musculoskeletal disorders. This moccasin is S2 and SRC water repellent for perfect grip. Modern design and very comfortable shape to meet the working conditions in kitchens. Absolute comfort with a Lorica water-repellent and breathable upper. The reference in catering trade. In recent years, work clothes, safety shoes and more broadly protective gear have evolved to more safety but above all more comfort for the user. Indeed, ergonomics and well-being at work are now at the center of business concerns. A team well in his shoes and well in his clothes will always be more efficient in his missions. The system Stress out which is an innovative tongue which also avoids the unpleasant friction of the tongue when walking thanks to an ergonomic padding. 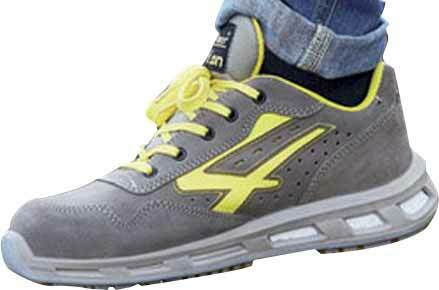 The safety tip remains a strategic point in a safety shoe. 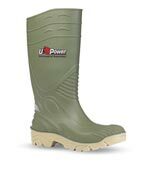 Upower has developed the Airtoe technology with a worldwide patent. This technology meets the most stringent security requirements and standards. The Airtoe tips are available in 3 composite versions 50 grs , aluminum 54 grs, composite 200 joules 60 grs. By comparison, a steel tip weighs 93 grams . This provides the weight gain of the shoe.